Another week has gone by and sadly there is not a lot of activity to report from it. With only a few new pics of Alex we were deciding whether we should do the wrap-up at all or just add them to next week, but since they are good pics and there was some SOTB news, we obviously decided to chime in. 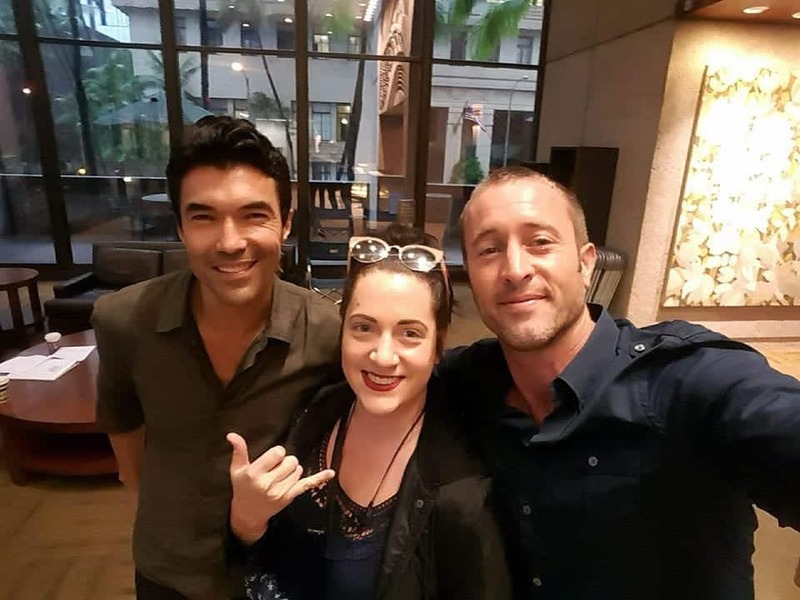 The pics came from the beginning of the week as it seems as if Alex was light on the filming set towards the end of the week, which could be another reason there was little activity overall.. Hopefully he enjoyed some time off. Here are the few pics below. 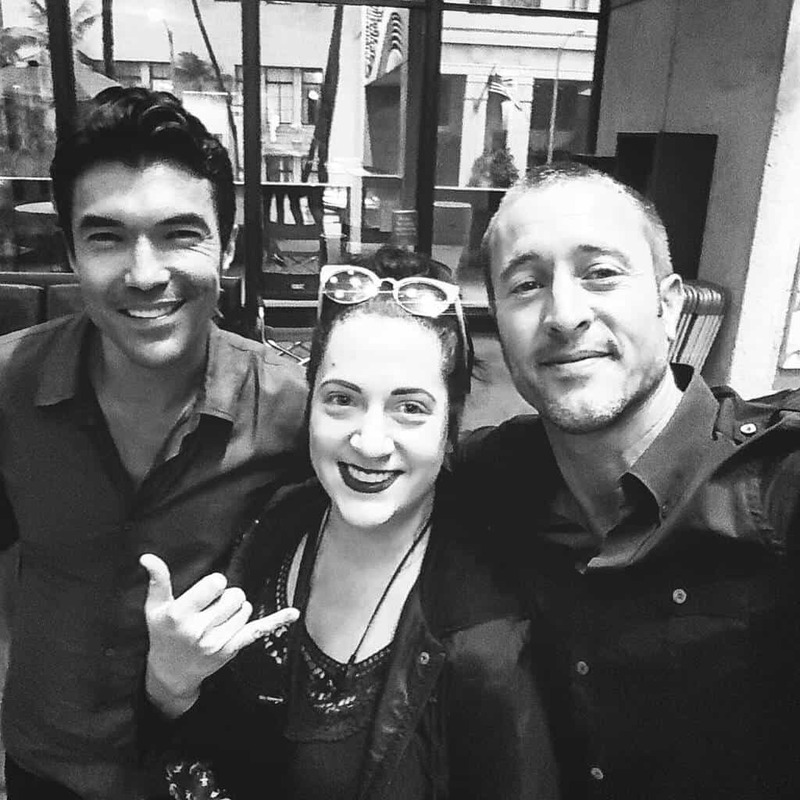 Alex is seen getting a coffee fix from Hawaiian Aroma who shared this pic. There is mention of some hearts that needed calming down after he left, too. Can only imagine that the staff might have needed some help with that after the encounter. There was also this pic shared by the providers of the guns (props) on the set. Taking aim and ready to take somebody, or bodies, down. News : Peter shared some Sunset on the Beach news via the promotional poster that was released on Tuesday. The poster is below and revealed that the event will be an hour earlier this year, which is probably due to the time of year being later, which causes a earlier sunset. American Idol winner, Phillip Phillips will be the performer and if you do not know who he is than you can read his bio for more info. Most importantly they will be having a special tribute to the armed forces as it is Veteran’s Day weekend and it is much deserved. So, who’s going? Should be fun! Moving forward into this week, they should be filming episode 13 after wrapping up 12. They are now halfway through which does not seem possible as it only seemed like yesterday they came back from hiatus. Time flies when you are having fun…and we are all having fun, right? Hope there will be more to report next week. If not, SOTB is right around the corner and there is always a lot of new pics from that. To hold everyone over, the show returns on Friday with a whole new episode! Here is the info in case you missed it. Have a great week!